The ASH31 evo is a refinement of our ASH31. Everybody who already tried the ASH 31 knows how easy this model is to handle and how much fun you can have with it! 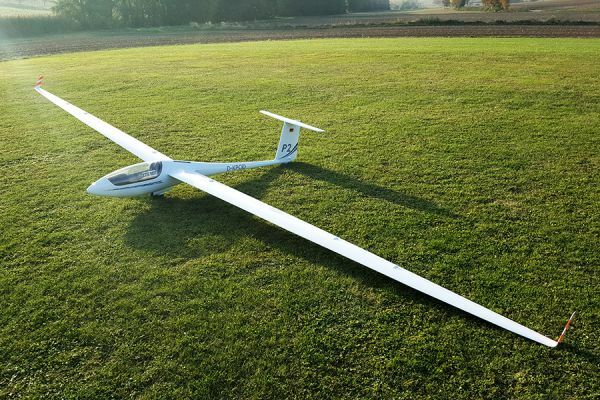 With our ASH31 evo we reworked the original and improved all its already good qualities and computed a completely new airfoil of a thickness of only 10-8.5%. Due to the full carbon construction and the square wing joiner, this model aircraft weights 1kg less than its predecessor, the ASH 31. By virtue of the new airfoil dynamics and circling even in weak thermal lift have improved. The ASH31 evo is perfectly suited to fit a retractable engine or EDF, and on rough ground there is no tendency to overturning. We recommend either the AFT 19 or the Ceflix 750 EDF. Related links to "FW ASH-31 EVO 1:3 full composite kit"